The unconnected educator is more in line with the 20th century model of teacher. Access to the Internet is limited for whatever reason. Relevance in the 21st century is not a concern. Whatever they need to know, someone will tell them. If they email anyone, they will follow it up with a phone call to make sure it was received. The question that it got me thinking was that if not being connected means not being a part of the 21st century, what does it actually mean to be working within the 21st century? There are many contrary opinions out there about what 21st century learning is and what are the skills associated with it. However, the one thing that stands out across all discussions is that to ignore one element often collapses the whole definition. 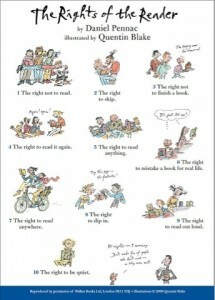 The other day, I was discussing the practise of reading with a fellow teacher. Although seemingly obvious now, it occurred to me that although there are various strategies and focuses (inferring, summarising, questioning etc …), they are all interrelated and interconnected and cannot really be taught in isolation. Take inferring for example. Students are asked to refer to background knowledge or text structures in order to develop inferences from the text, even if they are not necessarily the focus (see Harvey & Goudvis Strategies That Work). The reality is to talk about any strategy or skill-in-itself often misses or denies something else that is happening during the process of reading, pushing the other activities into the margins. Reading is subsequently often taught in an isolated fashion, with ‘focuses’ and so forth, based on the effort to structure or organise practices. In this situation, I am reminded of Roland Barthes’ S/Z where he unpacked the different layers of meaning inherent in Balzac’s novella, ‘Sarrasine’. Barthes approach was to be open to the meaning within the text, rather than restrict himself with a predefined focus. This seems in vast contrast to the practise of reading with a ‘focus’ in mind. The question this poses then is whether focusing one particular strategy really constitutes reading? (I have also written about this elsewhere). To me it is comparable to a running through a training drill as opposed to playing a game. Clearly they are related, but are they really the same? 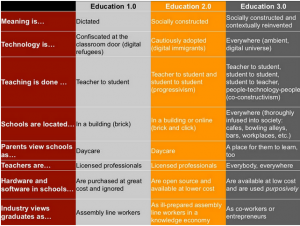 21st Century Learning, A Whole or Many Parts? Often this division into separate categories leads to people responding to the different parts in isolation. However, when you start to look at the list, you begin to realise that each of the different categories are inseparably interlinked. For example, it is through the use of Blogger that I am able to critically engage with ideas and communicate them with others. The question that needs to be considered then is whether the different categories can really be dealt with in isolation? Are they things-in-themselves or just a way of thinking about the bigger question of learning in the 21st century? I think that this point is particularly comes to the fore when you consider the use of ICT tools. It is often believed that teaching the tool somehow automatically equals utilising 21st century skills. However, in my opinion, this is a bit of a misnomer. Too often the focus of professional development revolves around the use of a particular tool, as that is where the money has been spent, rather than focusing on the skills that are made possible and the changes that this might bring to learning. Once again we come back to the question, does focusing on one particular category really constitute 21st century learning? Does the fact that you are focusing on thinking-in-itself simply equate to focusing on the skills of 21st century learning, rather it means you are focusing on thinking. Would you consider teaching students how to infer as covering all the different skills associated with reading,? Clearly not, it is simply teaching students how to infer. Why then does the same not apply to the different skills associated with the 21st century? When introducing 21st century, it is not about a solitary category or skill, rather it is about the projects, the problems and the many possibilities. There are sometimes in life when the sum of the parts are just different to the whole. What’s so Professional about Relationships? It’s interesting, when you let go of the usual teacher/student hierarchy, as +Joe Mazza has with the idea of the ‘lead learner‘, all else seems to slowly crumble around it. Take for example the notion of ‘professional relationships’. I am not so sure which of the two words has had the biggest change. The profession to which everything has become seemingly so serious and accountable or the concept of relationships, which in the past were always so haphazard. Let me firstly look at the profession. Often people say that you don’t always choose your family, I think that the same thing can also be said about colleagues and clients (that is what students are, right?) This may have been different in the past where a student could have been ‘expelled’, where they would be shunted off to the next school and then the next school until they eventually flunked out of school. The profession of teaching has changed, subsequently highlighting the how unprofessional such actions are. One of the key changes is the sense of responsibility associated with the duty of care. When I was growing up, it seemed almost a novelty for a student to quip to the teacher that they (well there parents) will ‘sue you’. The reality today though is that this is no longer a throw away line, it does happen. Teachers are responsible for providing a safe and productive environment to learn, that is their ‘duty of care’. This means maintaining an orderly classroom and adjusting to the needs of each students. (I know it is more than that, I just didn’t want to go into it here.) However, the biggest change that this move towards legality emphasizes is the seemingly arbitrary nature of it all. Sadly, professional can often equal forced. I was talking with a clinical educator at a hospital the other day about approaches to education. She pointed out the seemingly obvious, that the nurses under her watch were required to complete various modules as a part of their competences to practice as a nurse. As she stated, ‘it’s in their contract’. What this points out is the current trend towards professionalism and the challenge that it brings to authenticity. The strength of professionalism is also its weakness, that is, in making everything more rigid there is something that is lost in the process. The idea of learning because you have some intrinsic desire to be better often goes out the door and is suffocated by the endless list of required learning. The question then is, how does this relate to relationships? I think that the challenge today is to firstly find a way to foster a relationship with every student in the classroom and then to incorporate the new found knowledge to add to the special herbs and spices that make Kentucky Fried Learning, that secret mystical experience that occurs like a bleep on a radar and then disappears once again. It begs the question, what does the notion of relationships mean for a home economics or woodwork teacher? Teachers who may see a student only once a week and see hundreds more on top if that. Surely their experience of relationship is going to be different to the mathematics, let alone English, teacher who may see their student every day if they are lucky. I think that this is where taking extra classes and spending time out in the yard can be so powerful. This time is usually devoid of any notion of curriculum and is often solely about rapport. For example, a science teacher may be taking one of their students for a Japanese extra. In this situation all notion of teacher/student dynamics is broken down as the teacher (unless by chance they can speak the language) is just as much a learner as the student. In addition to building a relationship outside of the classroom, it is also important to work as a team. Often one of the biggest challenges in starting a relationship is having some sort of entry point. While on the contrary, one of the first ways in which relationships fracture or are stunted is when a teacher may not be aware of an issue or some background information, subsequently sabotaging the whole situation. This is where working with a team and as a team can also be so useful. In the end, I think that the biggest thing to say about the notion of ‘professional relationships’ is that it does not occur naturally, that is, it is not chance, rather it takes time and takes effort. Often it may be a chance occurrence here or magical spark there. That is where developing relationship over years can be so powerful. However, one of the biggest difficulties is maintaining it. For as the saying goes, often it only takes one bad deed to undo ten good ones. The biggest challenge today with being ‘professional’ is persisting and persevering no matter what. The question that remains is how are you building relationships with your students and are they professional? Are SMART Goals Always That Smart? In my view, the strength of any team is not in the leadership group, although having strong leadership is important, rather it is in the supposed lower ranks, those individuals and stakeholders deemed to be at the bottom, and their ability to carry the overall vision for the organisation. To use a sporting analogy, it is often the depth of the reserves rather than the strength of the seniors that a teams metal is truly tested. With enough money, any team can buy enough players to be a good side, but to be a strong and successful side, it is the ability to stand up against injury and adversity which often decides between winning a game and maintaining long term success. This same mentality can be applied to the day to day actions in any educational environment. Often effort and money is put into key areas associated with big data, such as NAPLAN. However, it is those areas found in the margins of the curriculum, areas which neither provide clear measurable data nor any direct benefits, that the strengths and weaknesses can truly be tested. In the past I have written about the problems with reading conferences, another aspect often shunted from the day to day activities is that of goal setting and their role in supporting learning and development. I have experienced many reincarnations of student goals during my time, from goals written with no students in sight to students being given five minutes to scribble down a few vague ideas on a piece of paper. What ties all of these experiences together is that they are all about students, but far too often not composed for students. I have lost count of the amount of times that I have had to work through the SMART acronym with students. It surely says something when students need to be reminded again and again what supposedly makes a ‘good’ goal. I find the most poignant attributes of the so-called SMART goals is the ability to be ‘measured’. I completely agree that a goal needs to be measured, that is not my qualm. However, far to often the data that students use to supposedly measure their goals is not their own. Although they can demonstrate some sort of measurable evidence, they have little ownership over it. They merely complete a task and receive their grade as some sort of just reward. For example, many students often speak of improving their grades or getting better marks, when sadly these grades and marks often only tell a minuscule part to the story of learning. Another interesting aspect to student goals is the frequency which they are completed. In my experience, goals are often set once a semester, usually connected to the mandatory requirement to include them within reports. Little interest is given to following up and managing them. Associated with this, school diaries have seemingly morphed to contain a treasure trove of learning resources, from study tips to style guides. Squashed in there has been the attempt to provide some sort of structure of the whole process beyond the usual biannual occurrence. However, again this attempt to contain goals in a regimented manner is often lost on those to whom it matters most, the students. In the end, the goals that students set are often lost in the system. Although they may make it into their reports or be filed for safe keeping, most students have little memory of what their goals were beyond the current set. Is it a surprise that student goals have little perceivable impact? On the flipside, the goals set by teacher are often no better. In the recent AEUVic industrial action, it was argued by the government that the whole incremental review system was flawed and that teachers were simply getting moved up each year whether they had earned it or not. Sadly, bringing in performance pay would only make a flawed system even more fractured. The problem with the current review process is that, like student goals, it is far from an organic process. Most schools (in Victoria) meet with staff twice a year. Once at the end of the first semester to set the Performance and Development plan and then again at the end of the year to review it. In addition to this, work is often done in teams to set goals based on the previous years data. This is all good, but it overlooks a major aspect of goal setting and that is the need to be timely. It must be said that over the last few years that there have been some great diagnostic programs, such as ePotential and the AITSL Self-Assessment Tool, developed to provide staff with feedback whenever they require it. However, these tools depend on one missing element, an intrinsic desire to forever be better. There is a real push from some within education at the moment to push for more individualised professional development and to form more personalised Professional Learning Networks. (See for example Tom Whitby’s blog on ‘How Do We Connect Educators’ as well as Andrew Williamson’s presentation relating to PLNs.) I think though that one of the things inhibiting teachers from taking more ownership over their own learning and development is actually feeling confident enough to identify weaknesses without fear of retribution. I think that many teachers baulk at the idea of being truly honest out of fear that this may come back to haunt them if they were to apply for any sort of position of leadership. On the flipside, I think that there is also a fear among administration at times to allow any sort of freedom with staff as this may lead to precious professional development time being squandered. The problem that remains though is that some of the best professional development I have been to have been the sessions that I chose to attend in my own time, because I had an interest and I saw some worth in it for me. It begs the question, what will any goal achieve if it is not also attached to some sense of ownership? One of the biggest frustrations that I have had with setting goals, whether it be personally or while supporting students, has been the fact that too often goals were developed and left at that. For example, student goals were set and the teacher kept a digital copy, while student would gain a print out. However, there was little feedback or progressive notes developed. This hurdle has been somewhat rectified with the recent inundation of collaborative tools that allow multiple people to be responsible for a single document. Whether it be keeping track of goals using Evernote, creating a Google Doc or simply sharing a document with Dropbox, there is no longer a reason why goals are not living and breathing documents. On a bit of a tangent, I am particularly interested in the work on Tony Moncur from Nichols Point Primary School who has started using the Ultranet (GenED 4.0) to manage and share student learning. I think that if there is anything to be said it is that technology allows the process to become more manageable and accountable. However, as I queried in my previous post, does technology really provide a complex solution or does it simply create a complicated answer that misses the real question, who are goals really been written for? It is often spruiked that students are at the centre of all learning, then why aren’t goals as well? Surely if we are to make any move into the 21st century then we are going to have to learn to support learners in setting goals rather than just continue to write them for them. For how SMART are learning goals if they are not being driven by those individuals who they relate to? This may mean failing, but it also means allowing students to learn from those failures. If students are to truly be at the center then we need to support them in the process of taking ownership. How are you supporting your students with their goals and do they own them? I was in a staff meeting the other day, the start of which focused on auditing the curriculum in regards to a whole school initiative that had been progressively implemented over the last few years. The task was divided into year levels. As staff all sat down together, many looked at each other wondering who had sufficiently incorporated the different modules in their planning. There were a few cases of ‘it doesn’t fit into our learning in …‘ and ‘I just did it informally‘, while others simply had a blank look of ‘what are we talking about here‘. The one thing that did become apparent was the necessity to work as a team, crossing all learning areas, focussing on the student at the centre. Being in a somewhat unique situation of having both ‘Primary’ and ‘Secondary’ classes in the same school – and having taught in traditional ‘Secondary’ schools in the past – it can sometimes give you an insight into the different ways things work (and sometimes don’t work). For example, in my view, it is often easier to implement a cross-curricular program in a primary environment as there is usually a core group of staff responsible for the majority of the learning. Juxtapose this with the Secondary scenario where students can have anywhere up to 7+ subjects, creating a sense of consistency across the board becomes a more fraught process. To me, this whole difference in structure is analogous to the path of a great river. Initially students feed into the main stream from different points, with different backgrounds, different interests, different experiences. More often than not though they are progressively consumed in the main current that slowly meanders its way to the sea. This has its benefit with all students presumably benefiting from the same learning opportunities. 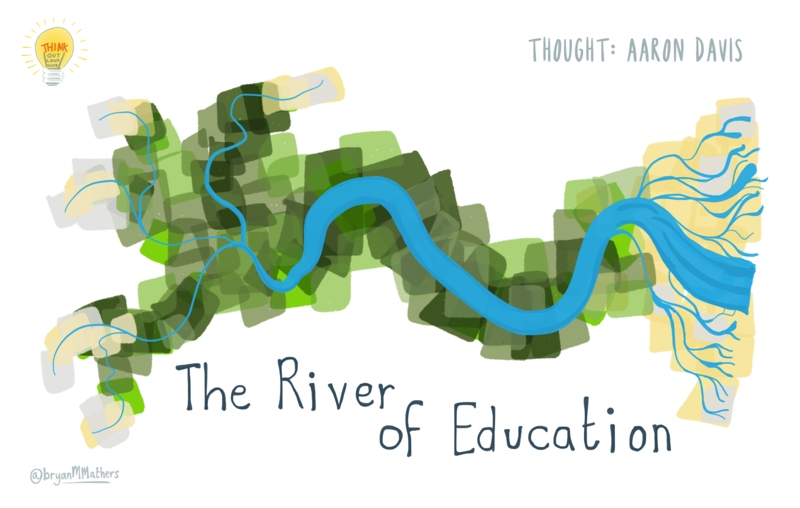 However, something happens in the Secondary situation where the once uniform river starts to spread out into a delta where students are invited to start choosing divergent pathways as they make their way to the sea. The problem that arises in this situation is that sometimes, some things are missed out, overlooked, forgotten about. They start becoming somebody else’s problem. It is in this scenario that having a strong sense of team and support is so important, where everyone works together, picking up what the other might have missed, so that no student is missed. I guess this leads me to a greater concern though, where to now? In thinking about this whole scenario, I can’t help but think about Sir Ken Robinson’s many discussions about 21st century learning. It makes me wonder, is this it? Is continually auditing, reviewing and managing curriculum really reforming learning or is the idea of a river not some slight more organic portrayal of the age old mechanistic factory line? I have been reading a lot recently about different models of curriculum reform from around the world. The one thing that seems to jut out is glaring problem that to fix many of the problems involves finding a complex solution. +Peter DeWitt suggested in talking about Common Core’s attempt to solve the poverty issue in the USA: “Poverty is a complex issue and it needs a complex resolution”. Continuing with this, it makes me wonder, are our solutions really that complex or are they just more complicated versions of what we have done in the past? Too often in education we get caught up worrying about our own situation, our own students, our own children, our own resources. What the Gonski Review set out to do was to fix a system that was failing a certain group of students and failing them badly. If you look at the PISA results you will notice that Australia is above the PISA average in regards to the quality of the education provided. However, you will also notice that there is a significant drop off in regards to equity and access across the board. Australia has a large group of students who for a range of reasons are being disadvantaged when it comes to learning and risks creating a two tiered culture of those who have and those who have not. What has been disappointing in the whole debate is that we often hear about who will supposedly be missing out in ‘real’ terms and so forth, but what is missed is that if a school were to ‘miss’ out, it would be because their need is not as great as that of another school. Sadly, the real people who will miss out are those who are silent in all of these debates, the students, especially those from a disadvantaged background. To help the students our schools need more support, whether this be in the form of coaching or resources. That is what the changes to funding are about, not about increasing wages or other such absurdities. Teachers will always continue teaching and students will continue to learn. If you look at any of John Hattie’s work you will see that, there is always an element of progression. The question though is how much are they progressing and to what extent is the system letting them down? My greatest fear is that many teachers do not necessarily realise the day to day support that they receive, such as learning coaches, student support programs and smaller class sizes. A lot of this is currently provided through National Partnerships, which finishes this year. The ‘real’ consequences are clear for all to see, larger classes and less support. If we fail to grasp this once in a lifetime opportunity to make a wholesale change to the way things are done then by the time we realise what has happened, it will all be too late. In the end, what people need to realise is that EVERYONE benefits from a first-class education system. However, at the moment these benefits are being reaped by too few. Reading Conferences, Who’s Problem Is It Anyway? A few years ago daily conferencing sessions came to the classroom with a whirlwind of change. Along with a plethora of comprehension strategies, it was argued by the local region that regular reading and direct teacher instruction would lead to an overall improvement in student reading levels. This change was all based around the work of Gail Boushey and Joan Moser and their book The CAFE Book: Engaging All Students in Daily Literary Assessment and Instruction. Boushey and Moser divide the act of reading into four clear areas: comprehension, accuracy, fluency and expanding vocabulary. This is where the acronym, CAFE, comes from. Associated with the focus on the different areas of reading, the program also has a big emphasis on making thinking visible, particularly through the use of tracts. Overall, there has been many successes since the initial implementation, the most obvious of which is that students now sit and read uninterrupted for fifteen minutes each day. However, looks can sometimes be deceiving, for when you dig just beneath the surface, there is an issue that seems to be raising up again and again, the issue being the lack of responses and deep student engagement with the program. Conferencing, Whose Problem Is It? If you go back to Boushey and Moser, their program was originally devised to be run for an hour a day – something not possible in a Secondary environment – where you would meet with four students, therefore meeting with every student at least every fortnight. In the Secondary classroom, the time allocated to reading only allows for one student conference per day. Subsequently, you are only able to see each student maybe twice a term. One of the problems that arises with this is that students can go for a month without conferring with a teacher, but more importantly, actually responding to the text. For many students, the time spent with the teacher is the only time that they ‘respond’ to their texts in any sort of meaningful and explicit manner. Even though responding is stipulated as a requirement at the start of each year and set as a ‘goal’ for many students through the conferencing process, a lot of students simply ignore it as there is no direct consequence. Before I move on, I just wish to clarify what I mean by ‘responding’. To me responding can be anything ranging from using tracks to record new words to writing reviews of their books once they have completed a text. Basically, any form of explicit action taken while reading, in regards to the conferences, this action is usually in a verbal manner. This all begs the question, whose problem is this? We talk about problems all the time and finding answers and solutions. However, the issue with this problem is that no one quite owns it. Without any direct ties to curriculum, a part from an informal association with English, who owns it? Does the problem reside with the teacher facilitating the conference and setting the goals or with the student reading but not responding? One of the big criticisms that students often raise is that ‘leaving tracks’ is not real reading, that is, it is not natural to stop reading midstream to jot down a question or make a connection. Firstly, I’d argue that many of our habits are learnt and not necessarily natural. While secondly, It is not the ‘done thing’ amongst teachers either in the classroom or within their personal reading. I maybe wrong, but I know many teachers who practise a ‘do as I say, not do as I do’ approach to such learning. This may work with tasks where the explicit goal is set within the task through assessment rubrics. However, this does not necessarily work when the task at hand is open-ended, primarily driven by the student and does not have a clear end in sight. 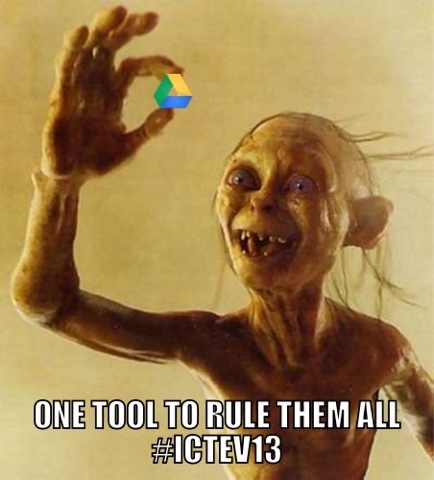 Originally, I thought that the answer was to create a collaborative document using Google Drive to share the goals and touch base with students in between conferences by getting them to record their responses. However, what I found was that most students who I conferred with still showed little interest in responding, let alone placing their responses in the document. One of the biggest hurdles that I have found with developing responses is encouraging students to respond when they need to rather than when then have to or even worse, when they are forced to. This sense of authenticity is, in my view, is what is most lacking in the whole process. Personally, I have always annotated my texts as I read, this has only been enhanced through the use of technology, from making highlights and capturing quotes while reading eBooks to posting quotes and ideas via twitter and other such social media. One of the keys to this though is that it is ‘personal’ and has been my choice. No one told me to do it, instead I saw some greater good, some intrinsic motivation, to taking action in what I read. However, not everyone sees it this way, whether it is staff or student. All this discussion of readers led me back to a book that got bandied around a few years back The Rights of the Reader by Daniel Pennac. That structure behind your badge system is much more important than the simple fact that you use badges in your activities. To point is that such a change would need to involve a complete rethink of the whole process and would be bound to fail if it were done in some sort of ad hoc fashion. Another plausible element of change is to make responses more authentic and meaningful by posting to a wider audience, not just for the teacher. Some possibilities include posting to social reading sites, such as Goodreads, or creating a blog to share with those in and out of the classroom. I have been particularly inspired by the work of Pernille Ripp and her blog Mrs. Ripp Reads. Although I am sure that she is not the only teacher out their using blogs to develop responses. What these things did teach me was that the first point of change in the whole process should probably be the teacher as leader learner, modelling what they preach, not preaching an empty practise. In Conclusion: Is Reading Really Reading Without Responding? I have come to the realisation that unless students are empowered and shown where the value exists for them, by teachers, and given more opportunities to develop authentic responses then the problem will continue to exist for teachers. The reality is, whether staff or students, we are all readers, therefore, in the end, we all need to find our way of responding. You may not want to write reviews online reviews or write extensive tracks in your margins, but the question needs to be asked: are you really reading if you are not responding? Although there seems to be a big chasm between education 1.0 and education 3.0, the first challenge in many classrooms is to give voice and empower the different people in the classroom, moving beyond just those who seek to be heard. This inclusiveness includes teachers, not just students. In my endeavours, I have found that technology can be a great support in helping facilitate this change, particularly in an environment where students have 1 to 1 access to computers, laptops, netbooks and tablets. Below I will go through some applications and how they can be used to give voice in and out of the classroom. Online pin boards containing posts is great place to start sharing online. Padlet is one such space where students can post digital sticky notes. Similar to Google Docs, Padlet allows different levels of accessibility and also allows the creation of unique web addresses for each page. One of the benefits to Padlet is that it not only allows users to post text based comments, but also attach web links and documents. In my view, one of Padlets biggest selling points is that you do not necessarily need an account to create a wall and add a sticky note (although this can also be a danger). One of the limitations of Padlet is that there is no avenue to comment on each of the posts, other than adding another notes, therefore limiting the scope for any sort of digital dialogue. Some of the ways in which I have used Padlet in the classroom is to develop brainstorms, collect together different resources, garner reflections, as well as share and publish work. A more formal way of collecting information and listening to different voices is through the use of forms and surveys. A part of the collection of applications associated with Google Drive, Google Forms allows you to create forms, incorporating a wide range of options, including short answers, multiple choice, scale and check-boxes Forms can be completed by anyone who has the link. In addition to this, Google recently added to the ability to insert images and develop Forms collaboratively. After using one of the many URL shorteners, I have used Google Forms to gather opinions relating to book choices, conducting term and unit reflections, as well as providing students with a means to assess themselves. Once completed, the results can be viewed in an associated spreadsheet or in a visual format. One of the strengths and weaknesses of Google Forms is its anonymity. In my view, students and teachers are often more willing to write things and provide their thoughts when they feel that they will not be held to ransom. However, this also limits the ability to provide any direct feedback, that is unless you insert a question such as: ‘what is your name’. I have done this when the task is focused on the responses of individual students. Similar to the idea of forms and surveys, student response systems are a flexible way to gather information and responses in the classroom. Socrative is one such student response system, whose claim to fame is its ability to run on any system. Like Google Forms, Socrative offers a range of question formats, including true/false, multiple choice and short answer. It also allows you to create (and share) quizzes, as well as pose questions on the fly. There are two different welcome screens, one for teacher and the other for student. When teachers register, they are given a unique room number. All students need to do is enter the associated room number in order to participate. One of the interesting potentials of Socrative in regards to giving voices to students in the classroom is the idea of an exit ticket, where students need to complete a series of short questions in order to ‘exit’ the classroom. Like Google Forms, responses to quizzes are put into an Excel document and can be either accessed online or sent to the email attached to the teacher profile. However, responses to single question activities need to be copied into platform or else they are lost. I have particularly used Socrative to capture ideas and answers on the fly. Another powerful method for engaging different voices in and out of the classroom is through the use of social bookmarking. There are many different sites dedicated to collecting and sharing online, such as Del.icio.us, Pinterest and Diigo, just to name a few. What these sites also provide is a means for critically and collaboratively connecting together information by saving, liking and commenting. For example, in the case of Diigo, you are able to not only keep your own library of resources, but also share with groups that you may belong to and follow the activities of other people in your network. Often planning documents have a stagnant list of resources, at the very least, sharing this information online allows it to be something more organic which is constantly changing and adapting. Which Voices Are You Hearing? I am more than aware that for every program, there may be other possibilities and potentials, such as Survey Monkey for creating structured surveys and Poll Everywhere for capturing spontaneous responses. In addition to this, I am more than willing to accept that many of these applications merely substitute something that already occurs or could occur in the classroom without technology. However, the one question that remains is: how are you giving voice to students in the classroom?